For some students summer participation is not an option. During the academic year, Young Shakespeare Workshop offers after-school performance project residencies on-site at public schools. These residencies have been primarily with two low-income public high schools that have had their theatre departments limited and then eliminated, Cleveland HS. on south Beacon Hill and Chief Sealth International HS. in West Seattle. After-school performance projects are most often productions of plays requiring from 100 to 200 hours of rehearsal time. Schedules often begin with one or two days a week expanding to five days a week as performances near. We began work on a new project at Cleveland HS in November 2013 centered on As You Like It targeted for performance in 2014. In 2013 students performed excerpts of Twelfth Night at the Seattle Art Museum in May of that year. In February of 2012, we presented Shakespeare’s A Midsummer Night’s Dream with students from Cleveland HS, and in October of 2011 we produced Paul Zindel’s The Effect of Gamma Rays on Man-in-the-Moon Marigolds at Chief Sealth HS. Both residencies began preliminary rehearsals in the spring of 2011. 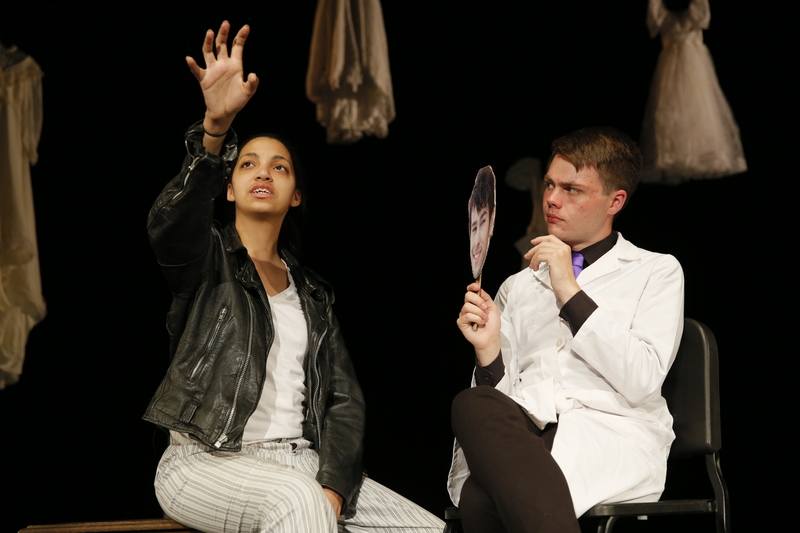 In February of 2011, YSW produced, in partnership with Arts Corps, Tom Stoppard’s The Real Inspector Hound with Chief Sealth HS students, a number of which went on to act in Marigolds. In May 2010, YSW produced Hamlet with Cleveland HS students, many of which later performed in Midsummer. Over the last decade and a half Young Shakespeare Workshop has worked with many schools in Seattle and outlying areas. Several Young Shakespeare Workshop summer participants have also returned to their own schools to produce and direct Shakespeare productions and projects of their own. Others are developing careers in the field, such as Julianne Just (99′) who directed her own glam rock version of Midsummer at Franklin HS as her senior project, and later went on to complete her masters degree in directing at Cal Arts.